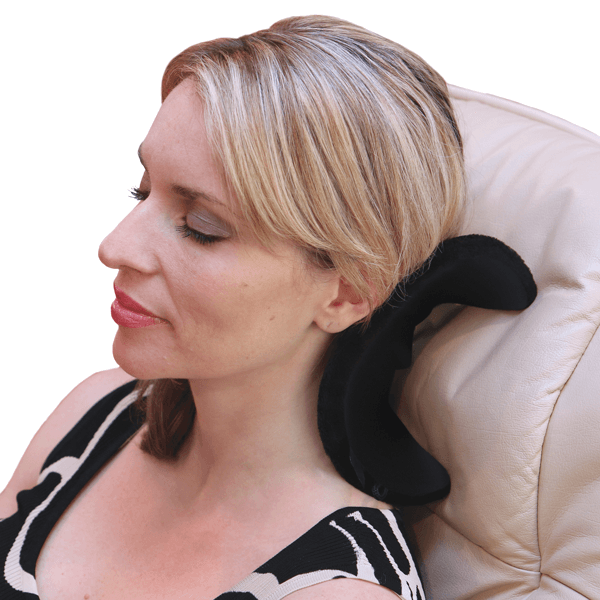 This neck and back sitting support is easily adjustable for personalized comfort. Its compact size makes it ideal for bus, car or airplane travel. 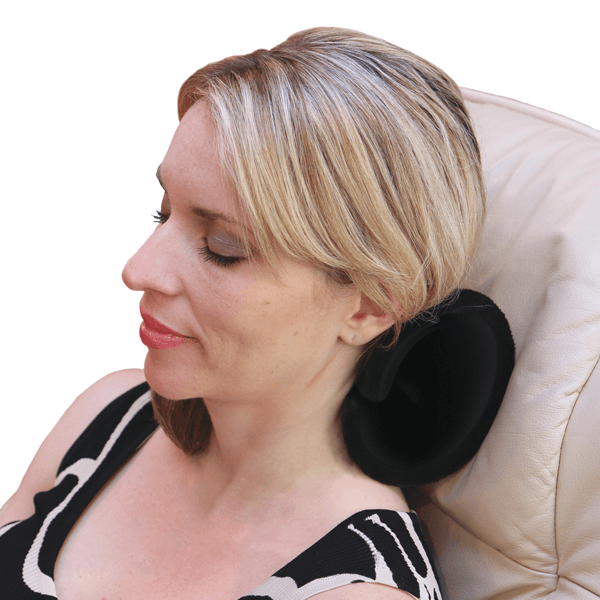 The OBEDO Neck & Back Cradle is designed to provide comfort as well as postural assistance while sitting. 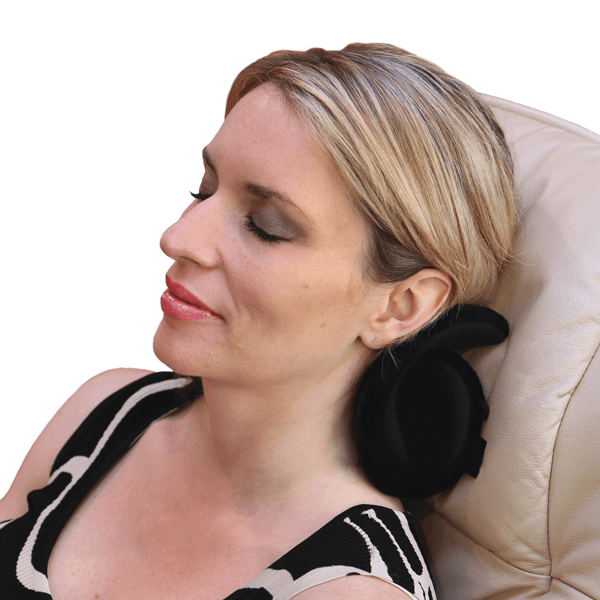 The unique cradle design is shaped to fit the neck and can easily be adjusted to multiple comfort settings depending on personal preference. Placing the pillow behind the neck promotes healthy spine alignment and good posture while sitting, and can help relieve aches and pains that occur when sitting for extended periods of time. 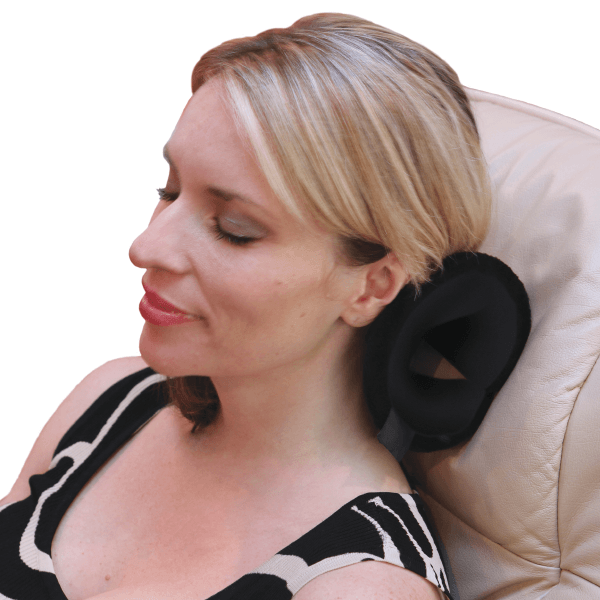 Due to its compact size and ability to fold up flat, the OBEDO allows you to achieve relaxing head and neck support while on the go; it is ideal for long car rides or airplane travel. Additional applications include shoulder stabilization for injury recovery, relaxation for shoulder muscles during hospital stays and knee comfort for side sleepers.